I am totally into Washi tape these days! 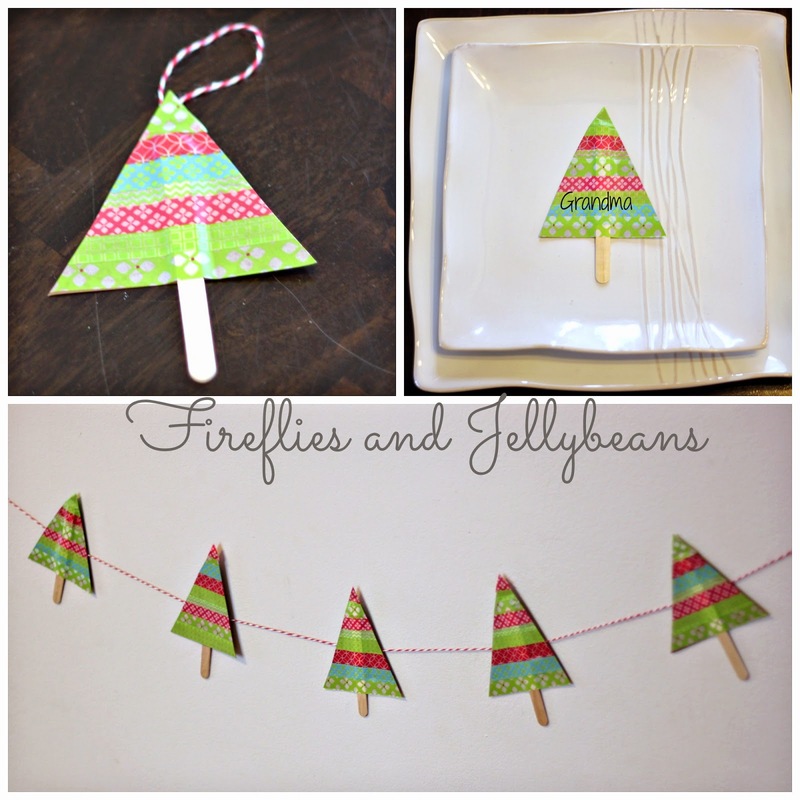 So here is another quick and easy craft you can do with Washi tape that will take less then 5 minutes to complete! And the kids can help too! A cute little tree for Christmas. 1. 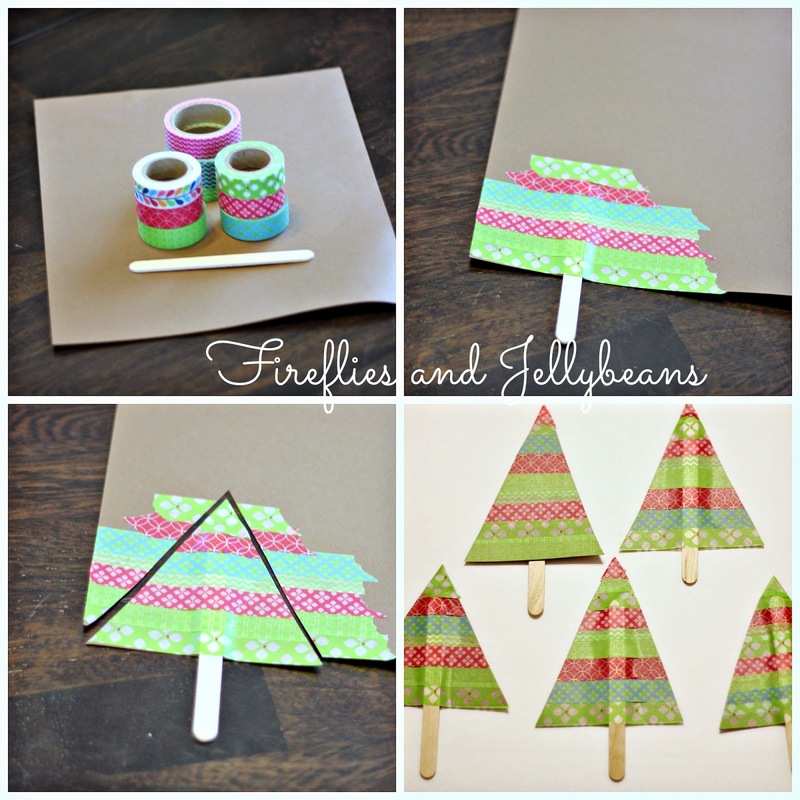 Gather supplies: Washi Tape, Popcycle stick, card stock. 2. place the stick on the card stock with about an inch or so hanging off the bottom. 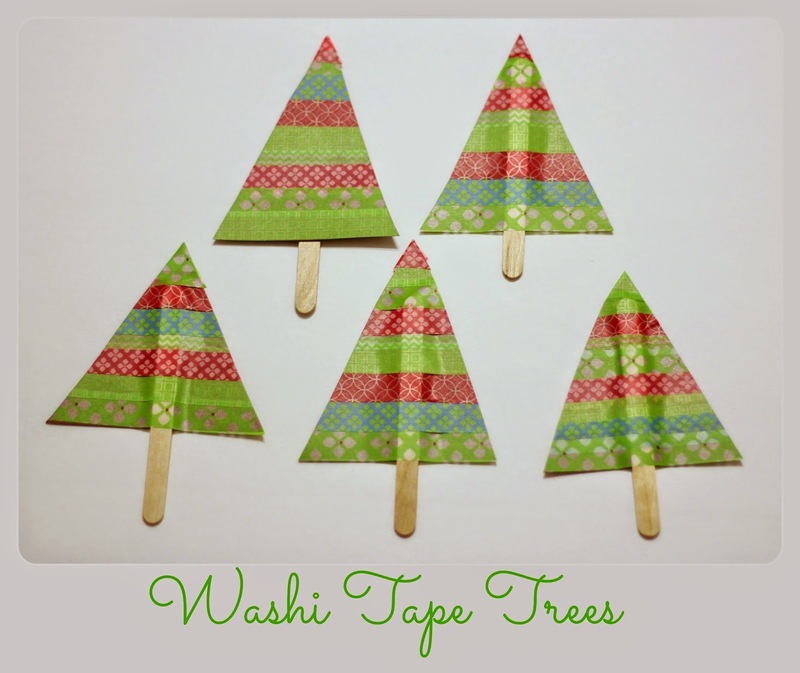 Tape strips of Washi Tape over the stick to cover it. 4. Repeat - repeat - repeat! That is a great idea! Love washi!